Local material handling equipment manufacturer donates conveyor equipment to Trinity Fellowship church in support of their Food Pantry operations. JONESBORO, Ark. – FMH Conveyors, a global leader in material handling equipment for fluid truck loading and unloading applications, is giving back to the community with a donation of refurbished conveyor equipment to Trinity Fellowship, to assist in the processing of food and supplies for their local Food Pantry, a press release said Thursday. On a monthly basis, Trinity estimates that they are currently serving 200 families in need through their Food Pantry program, which is operationally dependent on their volunteers and staff using manual labor to lift, load, process, and deliver dozens of boxes and heavy containers of food. Safely handling this volume of food presents a significant challenge for organizations like Trinity to overcome. Manual labor is these environments impacts both efficiency and safety concerns, and severely constrains throughput when the demand outpaces the resources of personnel. Typically, Food Pantries are staffed by volunteers who are limited in their ability to adequately handle food of significant weights and/or bulky sizes. With the NestaFlex® gravity 200 RLS conveyor donation from FMH Conveyors, the volunteers and staff at Trinity Fellowship plan to immediately incorporate this time and labor saving equipment into their weekly operations. They expect to be able to unload and process their Food Pantry donations in a safer, more timely manner that allows them to stay focused on their mission to serve the families in Randolph County. FMH Conveyors, headquartered in Jonesboro, AR, designs and manufactures products for truck loading and unloading applications. The NestaFlex® and BestFlex® brands lead the market in flexible gravity and power conveyors, while MaxxReach®, BestReach®, and BestConnect® are the premier brands in telescopic and rigid conveyor systems. 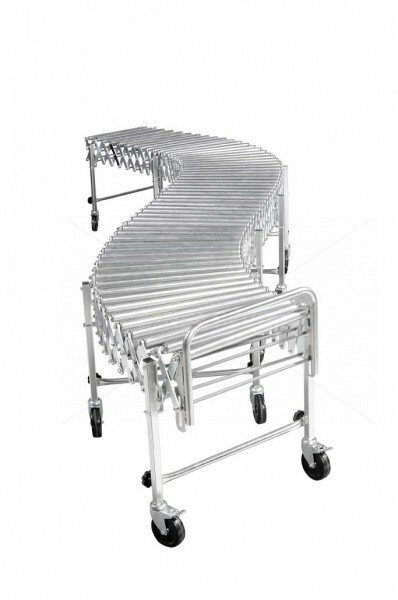 Known worldwide for their durability and reliability, FMH Conveyors’ products are engineered to support the material handling industry maximize productivity and increase efficiency. FMH Conveyors is a Duravant Company. For more information, visit www.fmhconveyors.com.